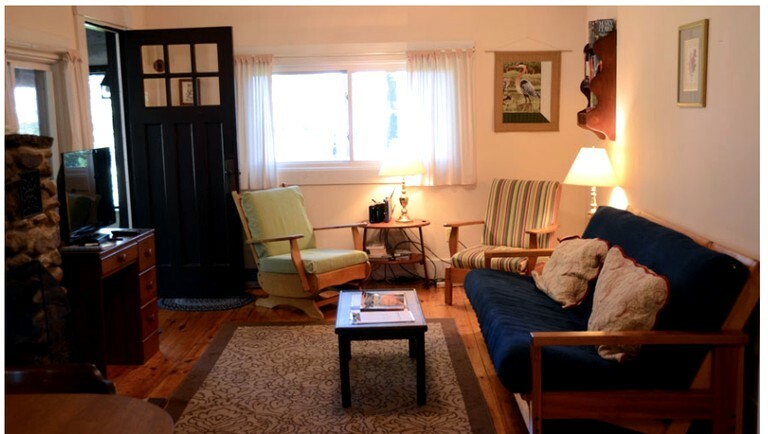 This cozy cabin is located in Gilmanton, New Hampshire, and can accommodate six guests. There are two bedrooms and one full bathroom. The master suite comes with a double bed and an armchair, while the other bedroom comes with two single beds. 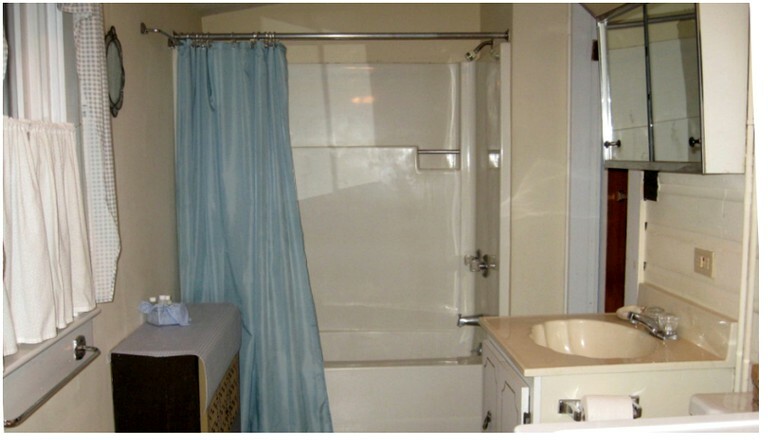 The full bathroom comes with a toilet and a shower/tub combination, and linens and towels are available for rent. The living room comes with a sofa that folds out into a pull-out bed, a television, and a fireplace with free firewood. 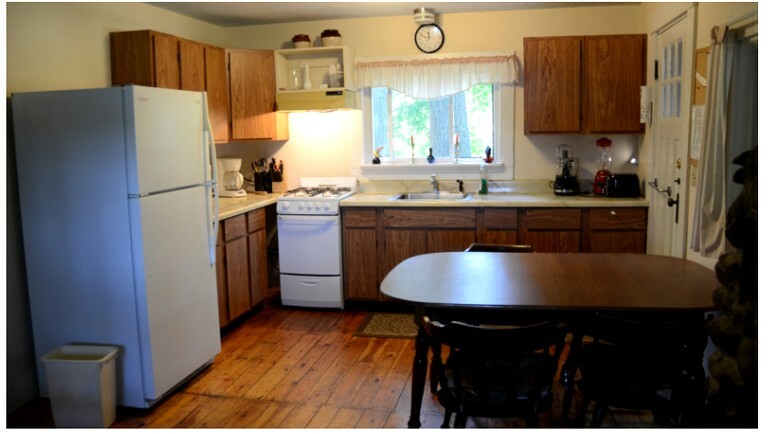 The fully-equipped kitchen comes complete with a four burner stove top, an oven, and a refrigerator. 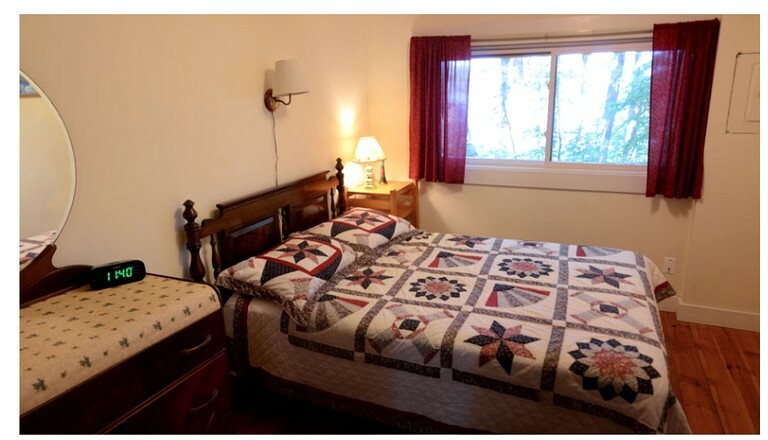 Other amenities include Wi-Fi, a washer and dryer, and a dining room table with seating for six. There is ample parking for residents when they arrive. Inside the accommodation, there is a fireplace with free firewood, internet, and television. Linens and towels are also available for rent to the guests. 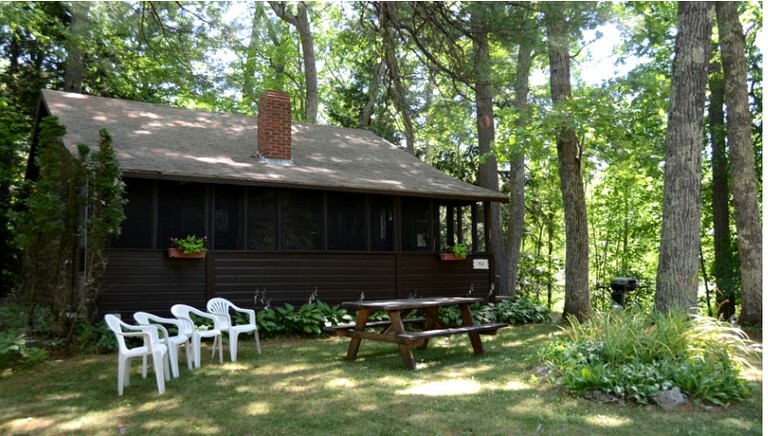 Outside, there are canoes, kayaks, rowboats, and a paddle boat for guests to use on the lake. Located on the banks of Crystal Lake, there are plenty of water based activities for guests to enjoy, including but not limited to jet skiing, water skiing, boating, swimming, fishing, and kayaking. Paddleboats, kayaks, canoes, and rowboats are available as well for free for guests to use on the lake. Residents looking to stay dry can head to the White Mountain National Forest, a federally protected area that includes Mt. Washington, the largest mountain in the northeastern United States. There are plenty of hiking and biking trails in the national forest of varying difficulties for guests to explore. There is a refundable damage deposit fee of $250 required.